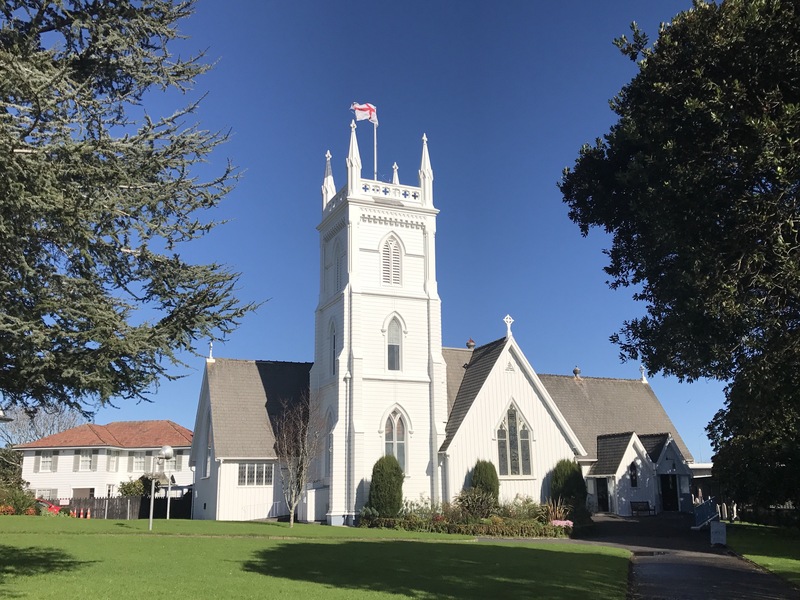 Took a walk at lunch the other day up the hill into Remuera. Here’s a few pics. I thought this white church would be quite comfortable in New England. 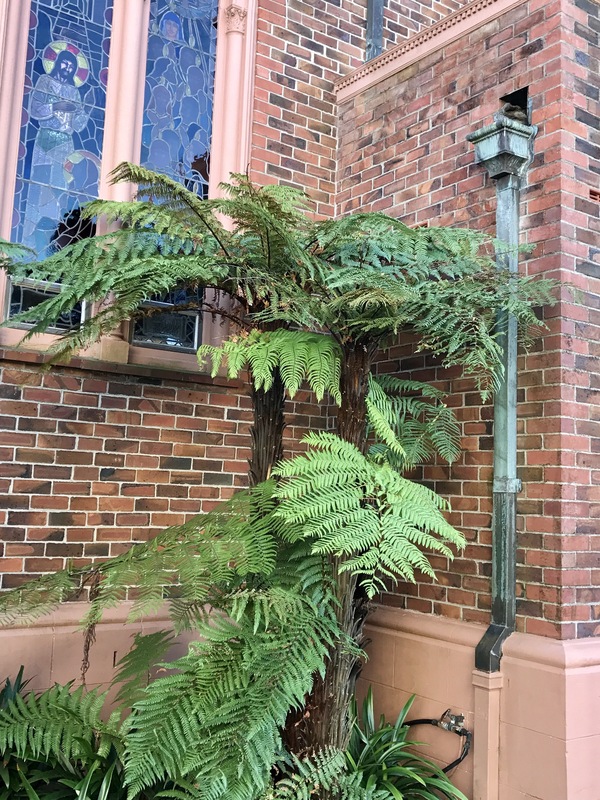 This brick church would also be at home back home, except for the tree fern. I saw this mosaic decoration on a completely ordinary 3-story apartment building, and wondered what it might signify. 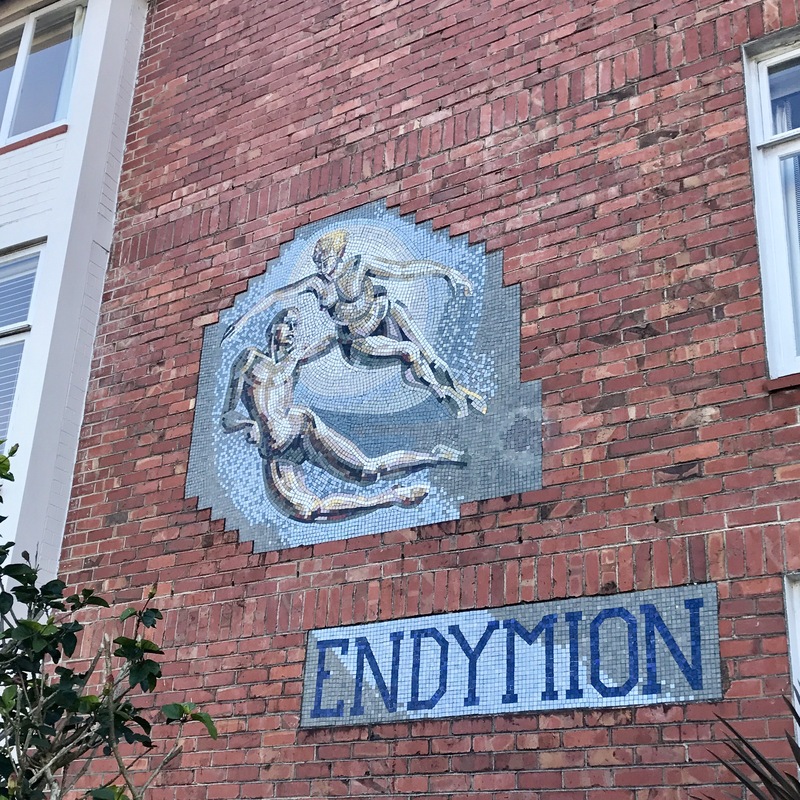 Although I’m sure any semi-awake student at Auckland Grammar would know, I had to look up the story of Endymion. Ancient accounts vary, but as popularized by John Keats in 1818, Endymion seems to have been the mortal lover of Selene, the moon goddess. He was either condemned to, or chose, eternal sleep so they could be together. However sleepy he may have been, they managed to produce 50 daughters… gud on ya, mate.